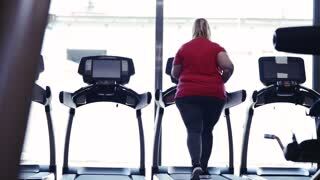 Unrecognizable overweight woman in gym walking on treadmill. 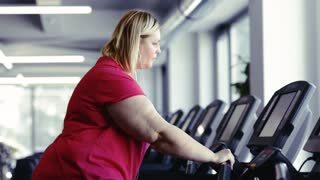 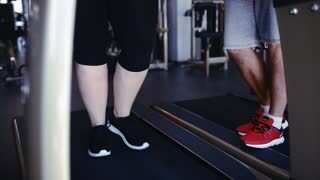 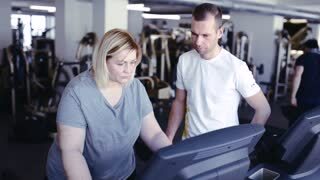 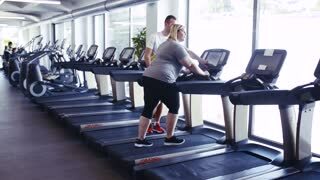 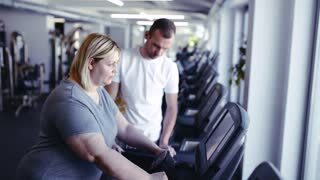 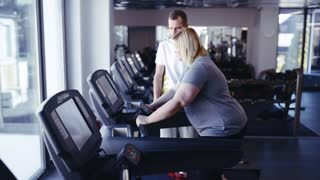 Overweight woman in gym with coach walking on treadmill. 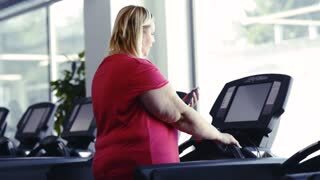 Overweight woman with smart phone on treadmill in gym.